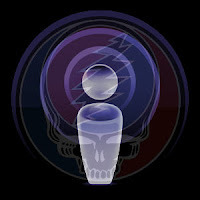 Listening Session 008: Exploring some shows you might not otherwise think about in an effort to discover more hidden gems across the vast history of Grateful Dead concert recordings. Need help hearing, downloading, or subscribing to the podcast? Read the easy "HOW-TO" guide. I haven't listened to this yet --cause I'm downloading right now --so I can't say how it is; but it doesn't matter cause I know it will be great. Excellent choice on the 9/1/79 Scarlet/Fire. Fall 79 is one of the best eras for Garcia lovers, and this one is certainly a great example. I note that Jerry had only been playing 'Tiger', his new Doug Irwin guitar, for about 2-3 weeks and you can really hear it's distinct style coming through quite clearly on the recording. Another great one, icepetal! You have made me a believer in audience recordings. I used to lust for soundboards - no more! Really outdid yourself on this one. Best podcast yet! The '73 excerpt is simply staggering and the '79 bit has me reaching for more examples from the year. Thanks Noah, I think this may be your best yet! All, thank you so very much. Jimbo, I'll consider the encore post idea. We certainly got a few interesting twists and turns along the way. Bill, thanks for those very kind words. Really glad you're enjoying these.